Four poster beds, luxury linens, piles of pillows and plush mattresses are a given when designing a master bedroom; but what other techniques do interior designers use to create a sanctuary for the master of the home? 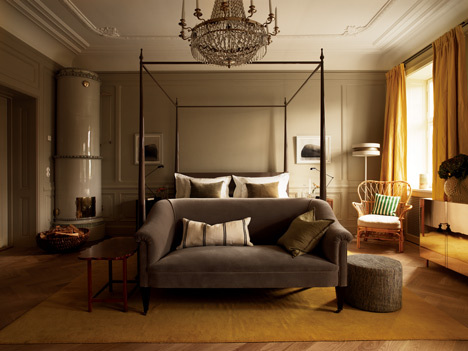 As proprietor of luxury boutique hotels around the world, British designer Kit Kemp is an expert on bedroom design. 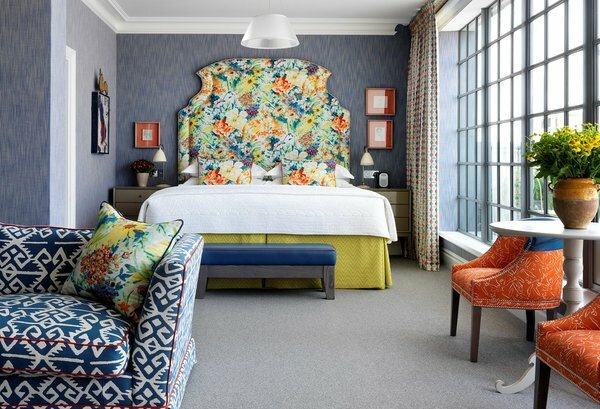 Her signature style is an explosion of colour and a mix match of fabrics, yet the rooms remain elegant and refined by balancing strong colours with gentle. Beds are king-sized, with upholstered headboards that reach the ceiling. 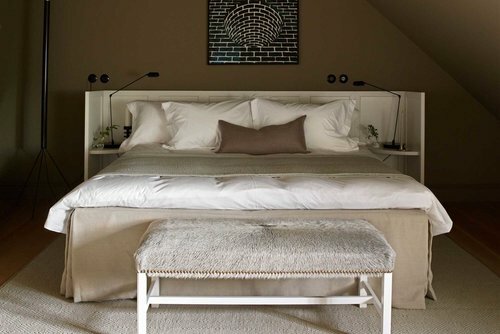 Large bedside tables at the side of the bed are paired with ottomans at the foot. Extra seating is provided, complete with large diameter tables. Heavy drapes on windows work as privacy and block out blinds, but also made from meters of sumptuous fabric for a luxe feel. 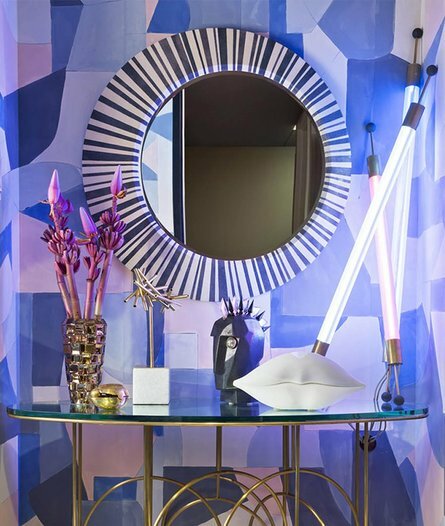 As you would expect from an interior designer to Hollywood stars; Kelly Wearstler’s interiors are dramatic. Furniture is big and bold, as are the sculptures and artwork. Her materials palette includes a mixture of onyx, marble, polished stone, mixed metals, leather, silk and fur. Mirrors behind lamps are used to reflect light around the space and create interest. Carpet works well in master bedrooms, creating softness underfoot as well as softening acoustics. 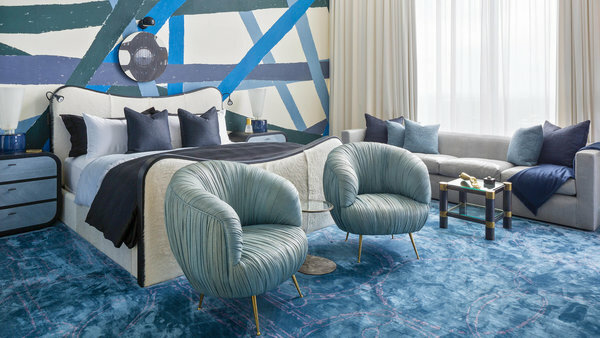 Whereas some designers might be included to go with subdued carpeting, Wearstler specifies carpets and rugs that can be strong in colour and pattern. In the quieter scheme of things is another British designer, Ilse Crawford. Human needs and desires are top consideration when designing spaces for clients. This is evident in the tactile nature of her materials that include cane, timber, leather and velvet. Lighting levels are kept low, save for large pendants installed from the ceiling, creating interest when viewed from all angles of the room. With a mantra of appealing to the human senses, often a fireplace is included in the design. Providing warmth, light, comfort, the fireplace is the ultimate luxury in a master bedroom. 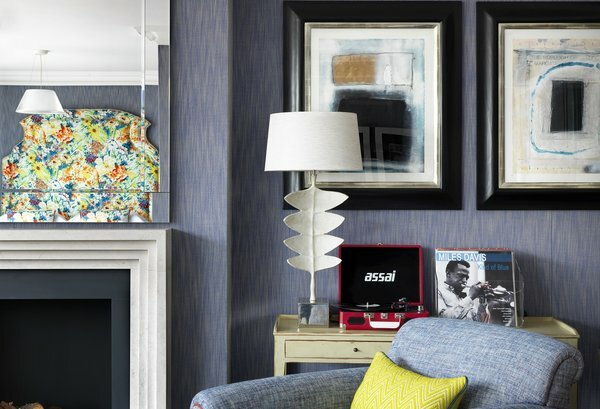 Whatever your style, you can use these techniques to create a master sanctuary of your own. Never far from a measuring tape, Donna Vercoe- Designbx designer is a Vancouver transplant who now calls Sydney home. When making the leap to Australia, she changed gears from working as a pool designer in the construction industry to studying colour and design. She now works as an interior designer, collaborating with clients to ensure their design fits their style, as well as fitting into their space. When not taking measurements, she can be found with a camera in hand, eyeing up details to share on Instagram.